Home » Relationship » How to say I love you on Valentine's Day? How to say I love you on Valentine's Day? Valentine's day is around the corner and it's obvious that all of you are excited. Making your loved one happy is one of the most exciting but confusing tasks to do. Even if it's your first Valentine or you have spent a couple of Valentine's day together, celebrating this special day will make your love blossom. It is evident that you really have to put a little effort to bring a smile on your partner's face. So, we are here with many ideas that you can try to make your lover feel special and make this day a memorable one. Here are twenty-five ways to say “I Love You” to your partner through sweet gestures that will wonders. There are so many moments that you have spent with your partner that you must have stored in pictures. You can compile each one of those into a beautiful photo frame and gift it to your lover as a symbol of love. The photos will keep your memories fresh and it will look like a lively gift. A personalised gift is a wonderful way of expression your love and feelings to your partner. You can gift personalised cushion with the photo of yours in the cover that will also appear as a decorative accessory in your room. 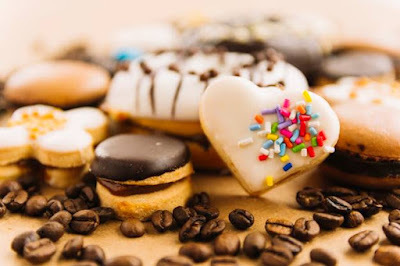 If your partner is very fond of chocolates or has a craving for sweet stuff, you should consider making them happy by offering them heart-shaped chocolates or muffins. It will also look adorable and keeping each other's choices in mind will look like that you care for them. How to Propose a Boy? We often forget to tell our loved ones their importance in our lives and why we actually adore them. It is true that you definitely need words to express your love to someone. You can think of numerous ways in which you can tell your partner why they are special or what's their importance in your life so that you can relive old memories and definitely strike a chord in their heart. In a world full of WhatsApp and emails, you should go the old school way and write them a special Valentine's Letter. Here's how to impress your partner if you have got some cooking skills. 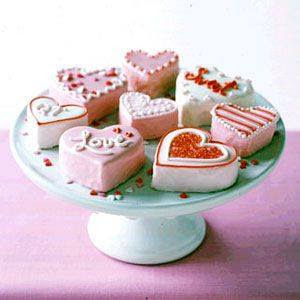 You can cook a sweet dish or any of their favourite dishes to make your Valentine's day sweeter. Everyone loves when someone puts up some effort to keep them happy and words are never enough sometimes to express all the love and affection. Cooking a favourite dish is an excellent way of clearly telling someone that you love them. Also, you can add a small note by jotting a few romantic lines. This Valentine's Day, you can test some of your creative skills by trying to make a card for your partner. You can add some of your ideas and prepare a beautiful card for them. Although it sounds old school and people usually buy some trendy and large cards on this day, but handmade cards always hold a special place in everyone's heart. How to say I love you for the first time to your girlfriend? Music is an excellent way of connecting with another person and creating a sound bond. If you know that your partner is a music lover, you can make a playlist of your own and gift them. It might help you establish a good bond with your partner over a playlist. A bouquet to your partner on Valentine's day is possibly one of the most romantic gifts. Although many call it overrated but being gifted flowers in today's era is a privilege and is one of the most beautiful ways of portraying your love to someone. If your partner is not fond of roses, you can gift them orchids or daisies that will appear pretty as well. If you feel a bouquet of flowers is very common, you can try something unusual. You can wrap chips and chocolates together and make it a beautiful bouquet. Your partner will surely be surprised and love your hard work. Surprises! Who doesn't like getting surprises, that too on Valentine's day? 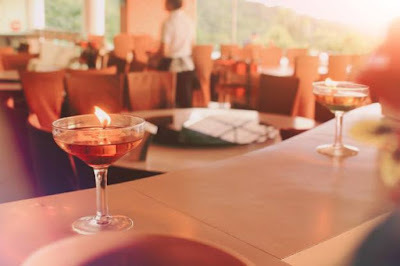 You can arrange a fine candle night dinner beforehand and give them a surprise. You can look for a nice restaurant which offers some good food so that you can enjoy some quality time with one another. You can also go that cliché, yet romantic way by pouring your heart out to them. Or you could just go to a beach or a serene place to enjoy a few peaceful moments with one another. If you both are a movie buff, you can plan a movie date instead. For this, you two could go to the movie hall or simply arrange a movie date in any one of your places. On your movie date, you two can watch any romantic movies or any other genre that you both have in common. This will indeed make your bond stronger and you will really be happy by the end of the day. An ideal gift for a bookworm is that you gift them a book and is a nice way of saying that you love them by thinking about their likes and dislikes. You can also add a bookmark with a heart shape that will look even more romantic. While gifting a book, make sure to select the ones that are going to add a value to the life of your partner. Reading out a poem is one of the most romantic ways of portraying that you actually love someone. You can undoubtedly create the ambience of love through poetry. You could write one if you are fond of writing poetry or you can read out any one of the famous poems by a well-known poet. This will enhance your bond and your partner will like it if they are fond of poetry. Purchase some of your partner's favourite stuff and pack it accordingly and make a gift basket. It's obvious that everyone likes getting gifts and these can turn out to be a wonderful way to show your love to someone. A gift basket can look really cute if wrapped in a proper way. Imagine going to a place amidst nature with your loved one and spending some time alone! Wouldn't that be great? You can say “I Love You” to someone and make it memorable by going to a favourite spot while watching the sunset or searching for a cosy spot in a park. This will do wonders and make your day a special one. If you think photographs are too cliché, you can ask someone to sketch a portrait of yours and gift it to them. If you are an avid artist, you can give a try at this and make the moment of a picture even more beautiful. A sketch will always prove to be more special as it involves more efforts and love. Try going in an old era this Valentine's! Isn't going stargazing with your partner one of the most romantic stuffs you two could possibly do together? The wide sky filled with stars will be the evidence of your love. There are many spots that provide stargazing to couples. Or you can just plan nearby in a terrace or in any convenient ground and enjoy such time. These kinds of gestures are sufficient to showcase your love and these little adventures are sure to keep any relationship healthy and intact. Saying “I Love You” in English or in any language that you two use commonly is rather too boring. One interesting thing you can do is learn a bit of a new language such as French, German or Arabic or any of your choices and impress your partner. You can convey your love in a completely different language and it will sound so cool! Or you can even choose to write in a binary language for fun. The best thing to do this Valentine's Day is to gift your spouse an award and also express why you think they are eligible for the award. This will be a bit humorous and an enchanting moment for you both. You can also print out a certificate for them to make it look more authentic. It's an interesting way to showcase your love for them. Coffee art is so incredibly beautiful. Ever wondered that you can create it at home? You can easily learn to make a coffee art from any YouTube tutorial and easily surprise your spouse. 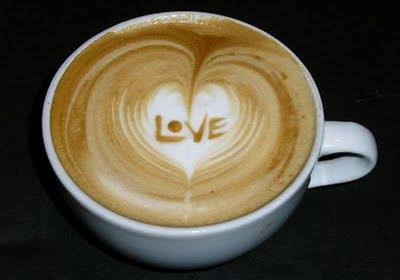 It will be a loving gesture early in the morning and you can make a coffee art with your latte with cinnamon and Cocoa powder to serve it with breakfast. Do you want to trace the important events of your life that you spent with your partner from the first day that you met till today? If yes, then considering making a scrapbook in a creative way as this will be the most valuable gift for your partner to show that you love them. You can record every special moment in a detailed manner and paste pictures of yours and write sweet messages along with it to convey how much they mean to you. You can also add silly dialogues to it to make it look more special. Social media has become an important part of our lives and posting special lines about your love story is an exciting gesture to show that you love your partner. You can write a long post about them and add pictures to it and surprise them with the same. Posting on social media has become quite essential and it's more like shouting from a rooftop to the entire world. If you want to portray your love in a grand way on social media, you can create a blog about it. Write a narrative or a love letter to your spouse which will be a great idea to make them feel special. 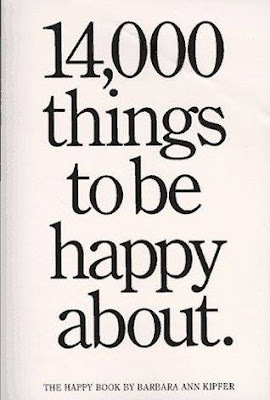 Or prepare a list of things that make him/ her so special to you and what you like the most about your relationship. You can bake a cake instead of buying it which will make it a more special way of conveying your love to your partner. You can bake a cake of their favourite flavour and leave a note behind giving a love message. This will be an incredible way to celebrate your Valentine's day. This Valentine's Day, try out new ideas and make it one of your most memorable days with these ideas and try to make your relationship a more special one. These ideas will not fail to surprise your partner and they will appreciate the efforts you've made. These are few easy steps to showcase your love for your loved one, so hurry and prepare for your Valentine.